Assume that Fair was a Fulmer acolyte. So what? Maybe he and Fulmer talked about career growth. That's far from unusual. Perhaps career growth meant getting out and trying NFL or a small Def Coordinator role. There may be a lot of closed door discussion. Maybe Fulmer discussed with Pruitt and Pruitt suggested Ansley. Fulmer may be just as involved in helping Fair find the right role. Why does there have to be something evil? I was sure the plan was to be 2/3 in. Huh. Elsa, they still can't hear your message. So I'll try to shuffle the cards a bit just for the heck of it. Lyle Allen, got our players' GPA up so the NCAA eligibility Sword of Damocles penalties no longer loomed over the UT's head. We, for the most part, lost the label of the University of Thugs under his leadership. We went to three straight bowls. Two against opponents supposedly superior to us and beat them. One. against a team bemoaning the lame excuse of having two key injured players while ignoring the numerous injured players on our team. We beat them too. So, Elsa, I think if the Butch bashers are going to bash him, they should also acknowledge the good he did as well. I personally think that while he'd have never brought us a championship, a real one not some made up cliche turtle doody thingie, he was sort of on the right track. But then he messed it up by getting rid of Jancek and then Lawson. Otherwise, we'd likely be seeing 8-9 and maybe a once in a while 10 win seasons instead of 5 win seasons. The real point is the man is gone and even VN'ers who liked him (at least for a while) are glad we have someone who looks to be the right man for the job. So despite all this, dear Elsa, hit it again. But this time, sweetie, try it in multiple languages in the hope it finally clicks. That's the first time I've heard that version - it was beautiful! Thanks for sharing. PS - watching what she was doing without getting lost in the words - she created a whole new "world/future" after she "Let It Go". I think we can do this! Yeah, and it's time to let the whole Hamilton / Fulmer / Kiffin / Dooley / Currie / Jones thing go. It was what it was, and it is what it is. 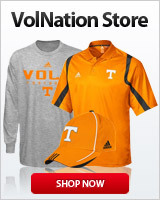 In the end, Coach Fulmer is now the AD. It hurt my heart to see the way he left, and it felt really good to see the way he came back. I think he will do well there, and there's a building, if not a statue, in his future. He's earned it, and earning it to this day. Coach Pruitt is a winner. Given his resume, and his Bama lineage, and the state of UT Football when he accepted the job...for that man to willingly step into the mess that existed in 2017 was at the very edge of believeable. Clearly, Coach Fulmer sold him on a vision, and Coach Pruitt bought in. Speaks well for both of them as to their commitment to winning. I expected more than 5-7 last year, but it was clear that the team was (a) out of gas, or (b) weak, at the end of the year. Coach Pruitt and his staff...which he continues to improve to this day...will recruit, condition, develop, and coach that out of the roster. There will come the day...maybe this year, likely next...when we will watch the UT Football team take the field and play with an intensity that has not been seen here since, well, 1998. That, I believe. Recruiting has improved. Staff has improved. Conditioning, development, and coaching are improving. The wins will come. I plan to be here to celebrate them when they do. Its not Pruitt overcoming Fulmer or Fulmer strong arming Pruitt. You don't make the hires that have been made recently without both being on the same page.